Karson Bailey had 24 kills Wednesday to help Boulder City’s boys volleyball to a 25-18, 23-25, 26-24, 25-17 win at Mojave. Preston Jorgenson had 15 kills, and Boen Huxford had six kills and 19 assists for the Eagles. Kenny Rose dished out 19 assists, and Kannon Rose had 22 digs for Boulder City. T.J. Blanchard-Davis had 16 kills, nine digs and four blocks for Mojave. Juan Carbajal had 24 assists and nine digs, and Taeveon Alexander added eight kills, two assists and 19 digs for the Rattlers. Shadow Ridge 3, Cimarron-Memorial 0 — At Shadow Ridge, Zach McArthur had 10 kills and seven digs as the Mustangs defeated the Spartans, 25-23, 26-24, 25-22. Michael Salame had six kills, seven digs and three blocks for Shadow Ridge, and teammate Tyson Mott had 12 kills. Kilmor Amor had four kills, 22 assists, five aces and eight digs for Cimarron. Maximo Torres added 11 kills and two blocks, and Salomon Tibi had six kills for the Spartans. Legacy 3, Desert Pines 0 — At Legacy, Cahill Laws had nine kills and eight digs to power the Longhorns to a 25-14, 25-19, 25-21 sweep of the Jaguars. David Yancy had nine assists and five digs, and Harrison Moore supplied seven kills and five digs for Legacy, which got 11 assists from Jacob Hernandez. Romeo Bottley added eight digs and five kills, and teammate Malik Wesley contributed six kills for the Longhorns. Las Vegas 3, Rancho 0 — At Las Vegas High, Kevin Sweitzer notched 17 assists, 14 digs and six kills, and Leander Gates provided 11 kills and seven digs as the Wildcats swept the Rams, 25-15, 25-21, 25-16. Jaelin Gray added 10 kills and four digs for Las Vegas. Omar Abushanab led Rancho with 10 kills and 10 digs, and teammate Jhonathen Reyes supplied 17 assists and seven digs. Del Sol 3, Chaparral 0 — At Chaparral, Alan Ramos-Flores had 29 assists and four aces as the Dragons defeated the Cowboys, 25-13, 25-18, 25-16. Alex Marin had nine kills, and Tyrell Hampton and David Anderson each had eight kills for Del Sol. Robert McGregor had five kills, nine assists and five digs for Chaparral. Iopu Tauli’ili had eight kills and three blocks, and Gonzolo Sanz-Segovia had 10 digs for the Cowboys. Sky Pointe 3, Western 0 — At Sky Pointe, Jaegen Driscoll had 17 kills, 11 digs and five blocks to lift the Eagles over the Warriors, 25-10, 25-19, 25-18. Brayden Dorsey had 23 assists and 11 digs, and Danny Cox had eight kills for Sky Pointe. Angel Sanchez had five kills and 27 digs for Western. Giovante Harris added three kills and 22 digs for Western. Bonanza 3, Canyon Springs 0 — At Bonanza, Mark Thuet had 11 kills, four aces and 13 digs to help the Bengals sweep the Pioneers, 25-13, 25-19, 25-21. 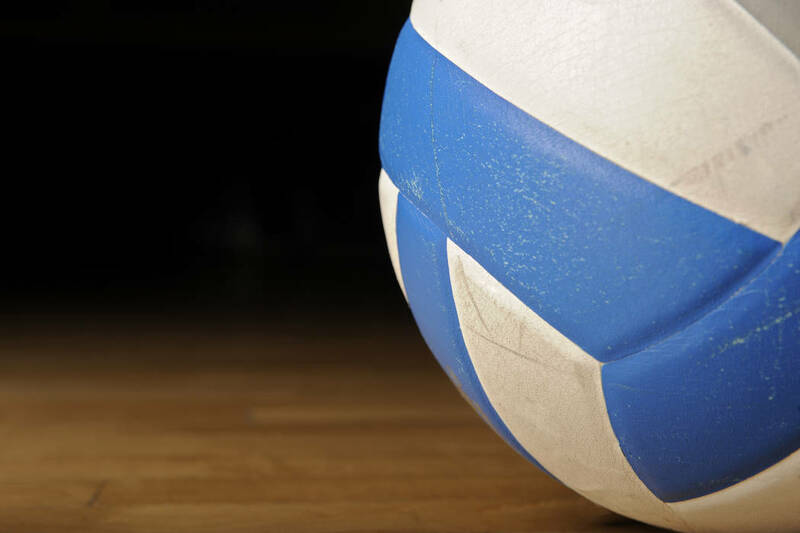 Mataio Valoaga had eight kills, three blocks and five digs, and Anthany Lemus dished out 26 assists for Bonanza, which got four kills from Rayden McLaughlin. Sho Hampton paced Canyon Springs with four kills, eight assists and nine digs, and teammate Alonso Casillas had four kills. Valley 3, Sunrise Mountain 0 — At Valley, Efran Zepeda had 13 kills, three aces and nine digs to lead the Vikings over the Miners, 25-16, 25-23, 25-20. Allen Go had 35 assists, and Miguel Torres-Barragan had 17 digs for Valley. Cheyenne 3, Eldorado 0 — At Cheyenne, Denzell Brown dished out 10 assists, and Brandon Wilcoxson tallied five kills and five aces as the Desert Shields turned back the Sundevils, 25-15, 25-21, 25-19. Ryan Buchanan added seven kills for Cheyenne. Christopher Garcia had 10 assists, and teammate Jorge Aguero supplied two kills and two digs for Eldorado, which also got two kills from Osciel Zamora.